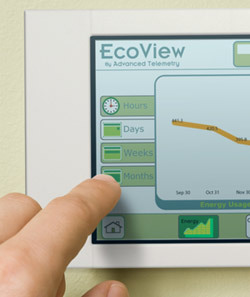 What does it take to convince building owners of the value of tracking their property’s energy use? By telling them it will save them money, that it is easy to do, or that their peers are already doing it? And what are the best ways to reach these owners? Through trade publications, business journals, social media, radio spots or other means? These are the types of questions that cities across the nation with building energy benchmarking policies are grappling with. Benchmarking policies require owners of certain sizes of commercial and/or multifamily residential buildings to annually track and report their properties’ energy use. Large, “Class A” commercial building owners are mostly familiar with the practice of energy benchmarking. The EPA has run a free benchmarking program that big property management firms like CB Richard Ellis, Hines and Transwestern use all the time. Most small and mid-sized building owners have never heard of benchmarking before, or don’t have dedicated facility staff to monitor their property’s energy use. Many of these owners will be or already are required to track and report energy use, as many cities’ policies extend to owners of just 10,000 square feet. How can cities turn these owners on to benchmarking? To help cities answer this question and reach these hard to reach owners, Resource Media launched a building owner survey to learn more about what these folks know and don’t know about benchmarking, and what communications channels they prefer to learn about it. We are now trying to get as many owners as possible to fill this out. Please help us by sharing this blog post and link with your colleagues, friends and family in the building energy efficiency and commercial real estate world. Participants that complete the survey can enter for a chance to win one of five $100 Amazon gift cards!